Glancetron offers 20 years of experience as a manufacturer in the Auto-ID and POS markets. 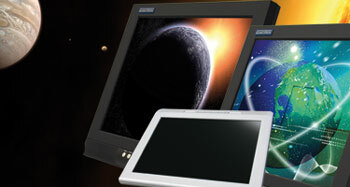 During the past years, Glancetron has grown into one of the most professional major POS manufacturers in Taiwan. They have demonstrated great success as an OEM manufacturer for very well-known brands in retail, hospitality and industry, including some »symbol of excellence« award-winning designs. With their own production facility in downtown Taipei, Glancetron guarantees high dedication to every detail of a product and the professional manufacturing process. This results in exceptional production quality, high flexibility in meeting individual demands and, of course, a top price/performance ratio - from the smallest unit to the most complex system. Thus, their customers range from small specialized software integrators to VARs, to major distributors all over the world. From wholesalers to retailers, speciality stores, hospitality or hotel businesses, to the industrial and production industry: for decades Glancetron products have been used successfully in different industries and for the most diverse fields of applications. With a full range of easy-to-use services designed for resellers and integrators, Glancetron helps their customers increase profits. A highly motivated team is always available and ready to help, guarantying broad flexibility to react to every customer demand. Whether it's a single overnight sample-shipment or a complex multinational project with a large end-customer, the top qualified sales and engineering team has all the experience to understand and meet today’s customers' needs around the globe. Despite its worldwide success, Glancetron is still privately owned and managed by its founders. As a result, the personal touch and the fresh company culture is a benefit for both employees and business partners alike. With Glancetron we offer you specialised products - customers can rest assured that they will always receive professional hardware and services to further enhance their success in the market.